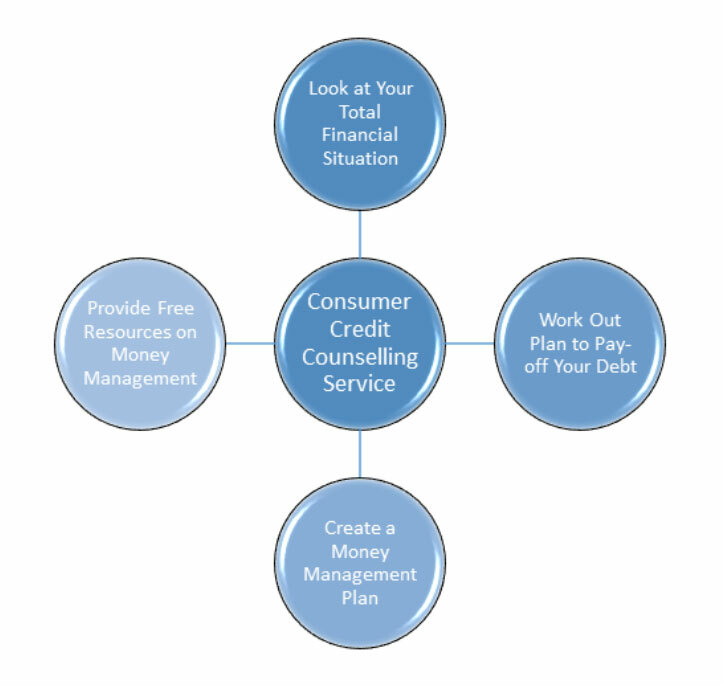 Why Do You Need Credit Counseling? Your unsecured creditors may be willing to accept reduced payments if you enter a debt repayment plan with a reputable consumer credit counseling organization. In these plans, you deposit money each month with the consumer credit counseling service. Your deposits are used to pay your creditors according to a payment schedule developed by the credit counselor. As part of the repayment plan, you agree not to apply for, or use, any additional credit while you’re participating in the consumer credit counseling program. A successful consumer credit counseling plan requires you to make regular, timely payments, and averages between 48 and 60 months to complete. Ask the consumer credit counseling service for an estimate of the time it will take to complete the plan. Some consumer credit counseling services charge little or nothing for managing the plan; others charge a monthly fee. Some consumer credit counseling services are funded, in part, by contributions from creditors. While a consumer credit counseling debt repayment plan can eliminate much of the stress that comes from dealing with creditors and overdue bills, it does not mean you can forget about your debts. Nor does it mean you can quickly achieve clean credit. You are still responsible for paying all creditors whose debts are not included in the plan. You are responsible for reviewing monthly statements from your creditors to make sure your payments have been received. If your repayment plan depends on your creditors agreeing to lower or eliminate interest and finance charges, or waive late fees, you are responsible to make sure these concessions are reflected on your statements. Is this a nonprofit consumer credit counseling agency? What are the total fees associated with the consumer credit counseling services being offered? Are consumer credit counseling agency services confidential? Are budget and credit education opportunities offered by the consumer credit counseling agency? Will my funds be protected? Are the consumer credit counselors certified? By whom? Is the consumer credit counseling agency accredited? By whom? A consumer credit counseling debt repayment plan does not erase your credit history. Under the Fair Credit Reporting Act, accurate information about your accounts can stay on your credit report for up to seven years. In addition, your creditors will continue to report information about accounts that are handled through a debt repayment plan. For example, creditors may report that an account is in consumer credit counseling, that payments may have been late or missed altogether, or there are write-offs or other concessions. A demonstrated pattern of timely payments will help you obtain credit in the future. By following our debt management plan, you are able to pay off your debts without having to cut corners on your fixed expenses, and may even pay much less than you actually owe! That’s the genius of our credit management professionals. If you are unable to manage your debts effectively, RMCN consumer credit counseling service is the guiding light you need, and any delay in seeking professional help will only push you further into the spiral. For a no-obligation free consultation, call us at 972-529-0900 or 888- 4-MY-REPAIR (toll free).